Lying hidden among the nature reserve of Aberlady Bay, the quaint village of Aberlady, and the teaming waters of the Firth of Forth, Kilspindie Golf Club is one of the finest hidden gems any golfer can find.The 35th oldest golf club, with the current course designed and first played on 26 November 1898. Retaining a wonderful charm and offering a great warmth of welcome, Kilspindie is a traditional Scottish seaside links designed by Ross and Sayers with later additions by Willie Park. 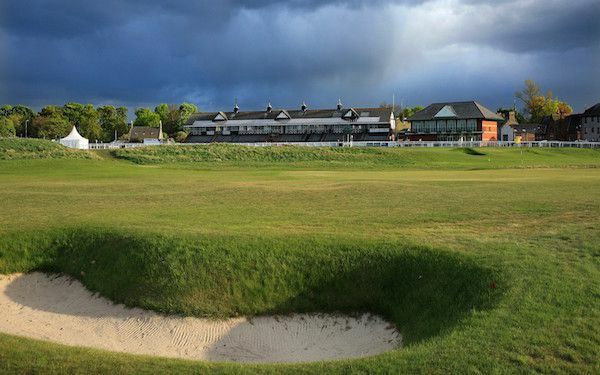 Kilspindie is a favourite of any golfer who has played the course: of medium length but with quick, deceptive greens; and well-defined fairways; the course is nonetheless a very good test of golf and a challenge to all, whatever your ability. Several holes border the shoreline and each enjoys magnificent coastal views. Players may witness seabirds diving for food, migratory geese, and seals sunning on the sand. In the distance, you can see the profile of Edinburgh, its Castle, and the long extinct volcanic cone of Arthur’s Seat. This all combines to create an experience of golfing beauty that you will be unlikely to forget in a hurry. Golf has been played over this piece of links land prior to 1850 but it was not until 26 November 1898 that the links was officially opened by Luffness Golf Club which was re-named Kilspindie Golf Club in 1899. The links were designed by Park and Sayers with minor modifications over the years. What is interesting, for example is that the first hole, par 3, is due north whilst the 2nd hole is the only par 5 and, when played into the prevailing wind from the south west, can play more like a par 6 or7! Imagine what it must have been like with hickories!! How many courses can boast of a magazine and a target on their course and these small buildings were exactly that up to the end of the First World War when the local territorial army unit used the course in conjunction with the golf club  one had to be aware of other hazards in those days! Every year some 27-28k pairs of feet enjoy these links and this is testament to its lasting design and layout. Recognised locally, nationally and internationally Kilspindie is a hidden gem if there was ever any doubt!